To The Prime Minister of India. Subject :- To personally examine the physical conditions and infrastructure of Amritsar Airport during the coming visit to the holy city and to make Amritsar Airport really International Standards. 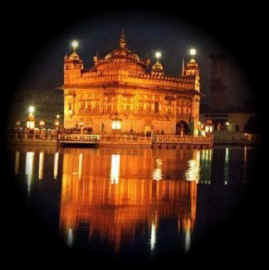 We are glad to know that you are visiting your home town Amritsar. We request you to personally examine physical conditions and infrastructure of Amritsar Airport. Sir, I have the chance to visit Amritsar International Airport several times. This airport still lacks the international standards, despite operating as an international airport for quite a long time. When a flight arrives at this airport, the plane is parked about one km away from the airport building (rather than joining it with the airport building through A.C. tunnel for the passengers to enter the airport building from the aeroplane, which is an international standard) and passengers come down from the aeroplane in the stairs (method used in the very old and traditional airports). The passengers are taken to the new airport building in the buses. Some of the passengers are asked to walk to the building. The stray dogs that are there, some times greet the passengers who had to walk to the new airport building. If these stray dogs bite some passengers, who will be responsible for that? If the stray dogs can enter the runways area, then, one day these can hit the planes during landing or take off. In the immigration area, there is only a place for standing of 200 –250 people. But when a flight brings more than 300 passengers, you can think what happens there. Every body is pushing the others in the queue to get the immigration first. The immigration officers take 5-10 minutes per passenger, which is quite a long time in comparison to other countries, which take only 1-2 minutes per passenger. The NRIs, who are visiting the land of their ancestors for the first time, see these practices for the first time and think that, perhaps because of this, their parents went abroad. For all this mismanagement at the Amritsar International Airport, the Airport Authority of India is responsible. After the immigration, the passengers have to wait for the arrival of their luggage for 1-2 hrs. You can see there is a big rush in this area, as this department also has adopted their own procedures; rather than the international standards. The passengers coming from USA, Canada, New Zealand and Australia become very tired when they reach Amritsar International Airport, as they have been in the aeroplanes for more than 24 hrs. To see these delaying tactics at this airport, they become very frustrated and angry. The NRIs, who visit Amritsar International Airport have paid the full airport taxes and they have spent more $ on the ticket to reach Amritsar (than to New Delhi), then why they are deprived of even the basic facilities at this airport? Out side the airport area, there is one car park, which is small in size. This car park is full of dirt, rubbish and grass and it lacks the maintenance. It is a place only for collecting the money for parking without its care. No one seems to be responsible for it maintenance. Although the Government of India is trying to attract the NRIs to invest in India, but the experiences of NRIs at the Amritsar International Airport are going in the opposite direction. On the return journey, the passengers have to face more hardships. The passengers who reach the so-called Amritsar International Airport ahead of time and have to take rest on the roadside on the concrete roadside structures under the open sky. There is no rest house facility for the passengers. Some one can go to airport at 5pm to 6pm, any day to see the NRIs, sitting on the roadside on the cemented structures waiting for the gates of the airport to open for them. There are no nearby toilet facilities for these passengers sitting out side the new building of the airport and waiting for the flights. They can go to the toilet, which is 1.5 km away from the new building and have to pay Rs. 5 per use. During the rain and sun there is no seating place for these NRIs. The security people have occupied all the barandas on outer side of the new airport building. Previously, the passengers used these barandas as a seating place, while waiting for the opening of the gates for flights. There is a thorough checking of everybody and all the handbags of the departing passengers are opened and very minutely and physically checked by the security people, which is a good thing. These security people don’t believe the scanning machines. If the security staff is to check everything physically, and they are to open even all the wallets and purses, then why the money has been wasted on these costly scanning machines? There are no instructions at Amritsar International Airport, that in the handbags items like pastes, gel, shampoos, oils etc. are not allowed to go in the flights, but at the time of bags screening, the security people throw them in the bins. The Amritsar Airport lacks even the basic facilities available at other international airports to the international travelers. In order to save the traveling time to the Punjab from New Delhi, the passengers opt to go to the Amritsar Airport. There is no hope of any improvement at this airport in the near future, as the air traffic is increasing and no infrastructure is being built. There can be some other reasons to annoy the passengers at Amritsar, so that, they can again be diverted to New Delhi Airport. There is much talk by the Chief Minister of the Punjab, to build another international airport in the state; he never talks for more facilities at Amritsar International Airport. I think the efforts should be to fully develop the Amritsar International Airport as per the international standards first, before running for another one; otherwise it will remain as undeveloped international airport forever. Delhi Airport is being modernized by spending Rs. 4000 crore. Amritsar Airport should also be developed on the pattern of Indira Gandhi International Airport Delhi. It is our humble request to that Central Govt. should immediate sanction Rs. 1000 crore for Amritsar Airport to meet international standards as demanded by parliament member and former chief election commissioner S. Manohar Singh Gill. Like Delhi Airport, Amritsar Airport should also the equipped with category III instrument landing system (ILS) which allows compatible aircraft and trained pilots to land even when the runway visibility is up to 50 meters. It is also requested that Halwara Airport should not be established till the Amritsar airport has attained the saturation point or it is overcrowded. Hope you will take personnel interest to make Amritsar International Airport really International standard. I shall be highly thankful to you. Re: To The Prime Minister of India. I wonder if PM or even someone up in concerned dept is going read this letter. PM will come...make some promises...will cut few ribbons....lay down few stones and might even announce few crore Rs for Amritsar..... and ....eventualy will go back to his mansion in new-delhi. Things will remain same for another many years untill some private company will take over and decide to think on global level. After leaving airport...when people drive towards our HOLY CITY....the first thing they crossover is a 'ganda nala' ....which might will take another 10 years to be covered up. My appologies... if you find my reply not so polite...BUT i hope you understand where i'm coming from. Vikas Manch Amritsar Meet Prime Minister of India. A delegation of Amritsar Vikas Manch will meet the Prime Minister, Dr. Manmohan Singh, on his visit to the city. In a press statement, Dr. Charanjit Singh Gumtala has stated that the Manch will apprise the Prime minister of the discrimination shown by the state government to the abode of the guru viz Amritsar. Dr. Gumtala has welcomed the proposal to throw open the hisoric Qila Gobindgarh to the general public but remarked that like Lahore Fort and Shalimar Bagh, this fort and Ram bagh should be brought on the list of international heritage sites. Pakistan government, he said, is spending huge sums, thanks to the World Bank, to maintain the precious Lahore heritage, and Amritsar heritage should also be preserved on the same lines. The Prime Minister will be requested to ensure that National Institute of Bio technology and Nano Technology, Knowledge City are set up at Amritsar and not at Mohali. Besides, he will be asked to provide greater Amritsar Area Development Authority, Amritsar Tourism & Industrial Development Corpn., Textile and Apparel Park, Software Technology Park, IT Park and Visa offices for destinations in other countries. Dr. Gumtala Has alleged that the focus of the present policy is Patiala and Mohali and Amritsar is at the back burner.